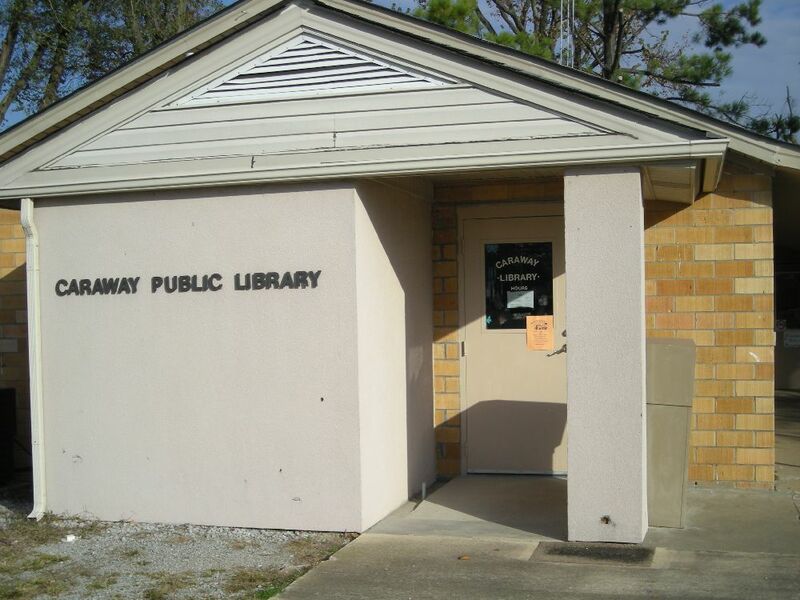 As early as 1940 the State Library Commission had established a library in Jonesboro with branches in various cities including Caraway. The library was built at the end of Main Street and had two rooms. Those who wanted to work in the library had to train in Jonesboro for six weeks. The old library was built in 1940 and was owned by Pauline Laws. It was fixed like a bank with the books in back behind glass. In 1958 Mr. Otis Lee Baldridge allowed a small section (two shelves) in his drugstore, located on Main Street, to be used as the library. He contacted Ms. Beaton and offered her the job as Caraways' first librarian. According to local sources, when he was not filling prescriptions he was sitting on Ms. Beaton's desk. They were married in 1959 and she gave up her job as librarian. Other local librarians have included:Gertrude Darr; Betty Sue Kilough; Caroline Wood, 1975 -1992; Jane Blake, 1992 - present. Information taken from an article "Caraway Library" by Sarah Watson and Samantha Dunigan from the book, History of Caraway. The library, with the help of a millage increase, was remodeled in 1995, adding central heat and air, a workstation for the librarian, a bathroom, carpet and new shelving. Since that time internet computers have been added. Services include computers with internet access, DVD's, databases, and internet reference.